How is a Catholic Elementary Education Affordable for Your Family? Does sending your child to Catholic school seem unattainable because you think you cannot afford the tuition? Do you feel like you are settling for a mediocre elementary education because you do not believe you have the income to support Catholic school tuition? Would you like to give your child the experience of a faith-based education, and still be able to provide for your family? If so, you are not alone! These are questions many parents ask when they inquire about Saint John Paul II Regional School and probably many other Catholic schools around the country. The good news is that there are several ways our school makes a Catholic elementary education affordable and attainable for you at our school. Applying for tuition assistance is a process. It enables many families to join the Saint John Paul II Regional School community reaping benefits academically, spiritually and socially. Mrs. Helen Persing, Principal of Saint John Paul II Regional School dedicates her time to work with prospective families of many backgrounds to move them from “prospective parent” to “current parent.” While the school must maintain a balanced budget, Mrs. Persing believes, if a parent is truly interested in giving their child the gift of a Catholic education, she can partner with them by tapping into several resources. Mrs. Persing reminds families that it takes a commitment to provide a Catholic education. 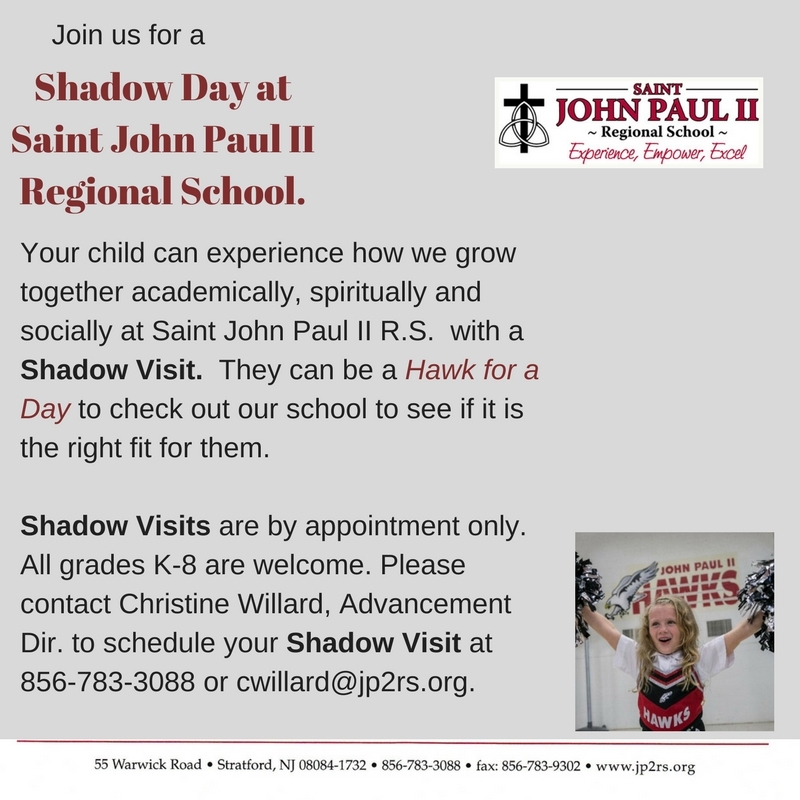 Parents may need to forgo a vacation, purchasing a new car or participating in extra sports; however the long-term benefit of attending Saint John Paul II Regional School that empowers students to lead lives rooted in Christian values and commitment to a better society far outweighs everything else! 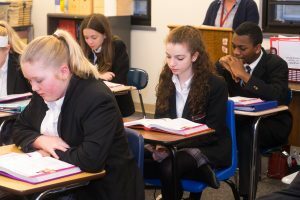 To schedule a personal tour and learn more about our program, tuition assistance and/or admissions process, please contact advancement director, Christine Willard at 856-783-3088 or cwillard@jp2rs.org. Mrs. Persing holds an M.A. in educational administration from Rider University along with a B.S. in business management. She has both her NJ State Principal/Supervisor Standard Certification and NJ State Elementary School Teacher Standard Certification, and she completed the New Jersey Leaders to Leaders Program in October 2008. Mrs. Persing was nominated 2013 Camden Diocese Principal of the Year. She is beginning her ninth school year as Principal of St. John Paul II Regional School since its inception in 2008 and was Principal at Queen of Heaven School in Cherry Hill for two years prior. Mrs. Persing taught middle school math, science and language arts as well as second grade in the Diocese of Trenton where she was named Outstanding Catholic Educator. Mrs. Persing is passionate about Catholic Education and continues to devote her time to meeting the needs of the students at St. John Paul II R.S.